In recent years, Persian Gulf cities have become symbols of the most spectacular forms of the ‘globalization of urbanization’. Current scholarship has sought to situate these cities in transnational processes and linkages with conceptualizations of ‘the global city’ and the mechanisms of ‘worlding’. This article builds on but moves beyond this line of analysis by turning to the histories of this region and its built environment to explore the longue‐durée influence of capital and empire operating across multiple scales. 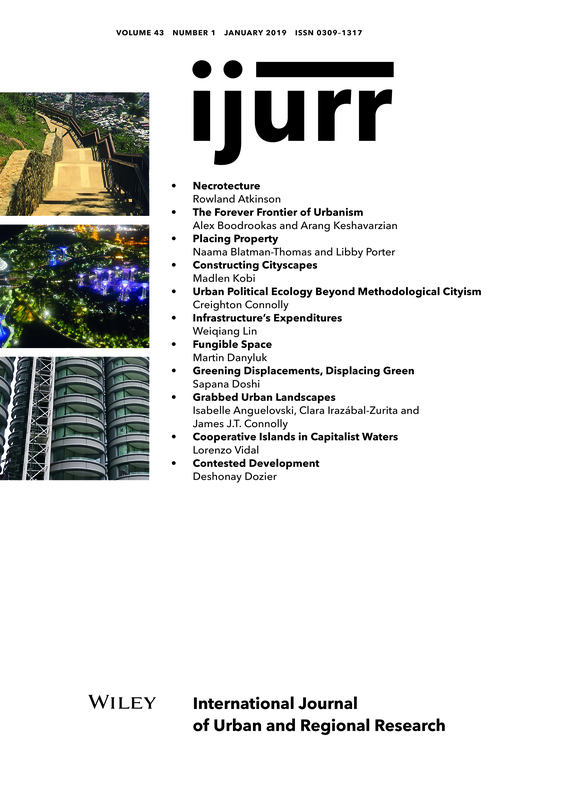 From this perspective, the glittering high‐rises and manmade islands are contemporary manifestations of a century of urban forms and logics of social control emanating from company towns, the struggles of state building, and the circulation and fixing of capital. To grasp how the Persian Gulf region has been remade as a frontier for accumulation, the analysis in this article blurs the boundaries between metropole and periphery, reconceptualizing the region not as an eclectic sideshow, but as a central site for global shifts in urbanism, capitalism and architecture in the twentieth century.